Thanks for talking with us today, Nicola! 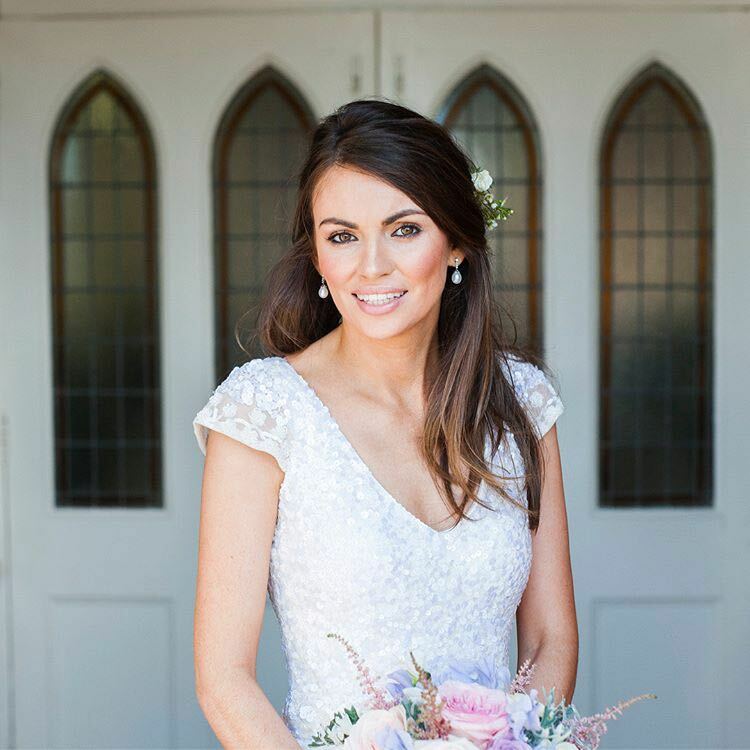 You have very quickly established yourself as one of the most renowned Irish wedding make-up experts on the Costa del Sol. How long have you been living here, and when did your passion for cosmetics begin? I have been living here one year now. I moved from the Caribbean where I was doing destination weddings. So coming to Spain seemed like the next step, I have family here and know how to navigate make-up in a hot, humid climate. I was always artistic at school. Art was my passion. I think in colour and texture, so make-up was a natural step for me. I have been in the industry now for 14 years and love every minute of what I do. 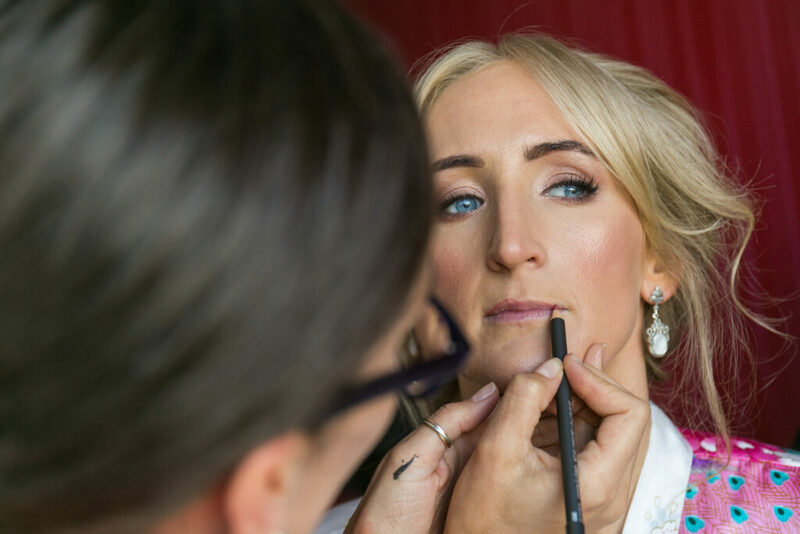 What advice would you give to a bride who is traveling to Spain for a destination wedding when considering her make-up options for the Big Day? It’s important when considering your make-up artist that the expert you decide to work with has some experience of working in a hot climate. 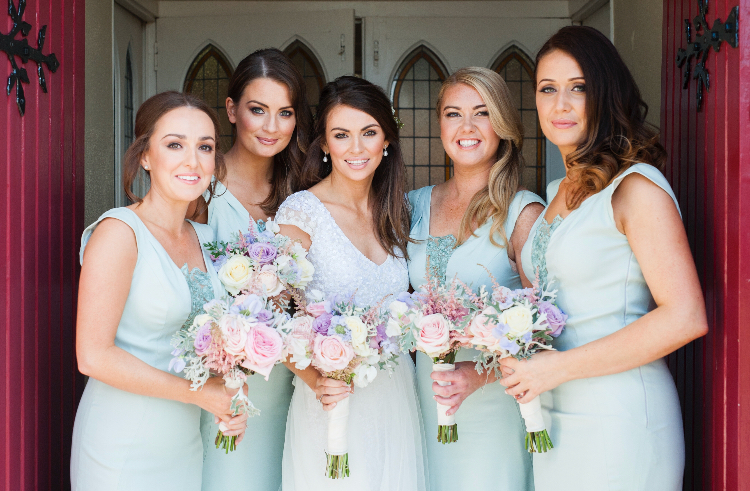 It’s very different having bridal make- up done in say the UK or Ireland, where the hot sun and humidity isn’t a common factor. So experience is key. Obviously the heat can be a major concern when it comes to make-up (not to mention the icing on the wedding cake! ), how do you work around this to ensure your brides are looking picture perfect from the main ceremony through to the evening event? Skincare is so important when getting married in a hot country. A good sunscreen that’s not too rich and won’t affect the staying power of the foundation is essential. No sunburn on your big day, thank you! And then of course the foundation has to last. I’ve worked for Charlotte Tilbury in the past, and can’t recommend her magic foundation highly enough – it literally doesn’t budge. I’ve used it for the Carnival in the Caribbean, and it lasted through 6 hours of dancing and partying in intense heat. Passed with flying colours! A powder to apply throughout the day is essential, too. And to top it off a setting spray to keep it all in place. How can a bride best prepare her skin before she arrives in Spain for her destination wedding? 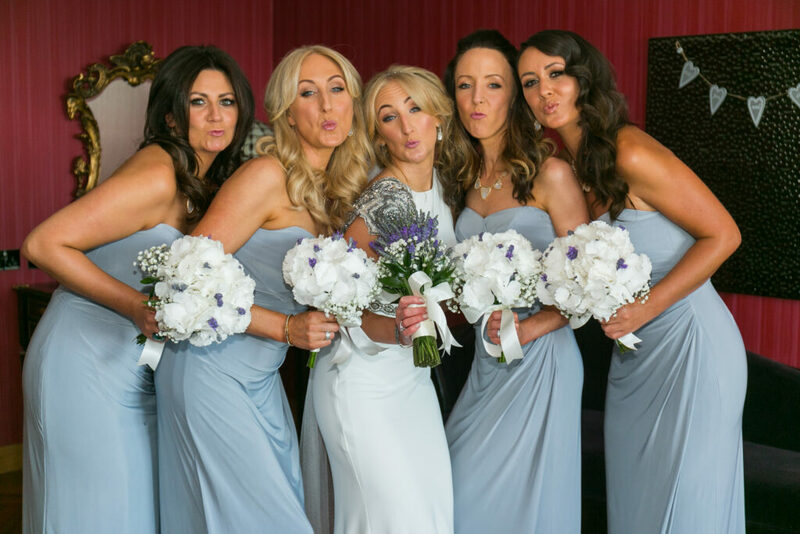 I would always suggest having a few facials in the run up to your wedding. I would recommend starting them as early as 6 months before the day, just to see how your skin reacts. It’s vital to ensure there will be no bad reactions to the products or the technique. And if having tan applied make sure you trial this, too! Some can be a strange colour, and avoid using these products on the face as they can clog pores and dry the skin. 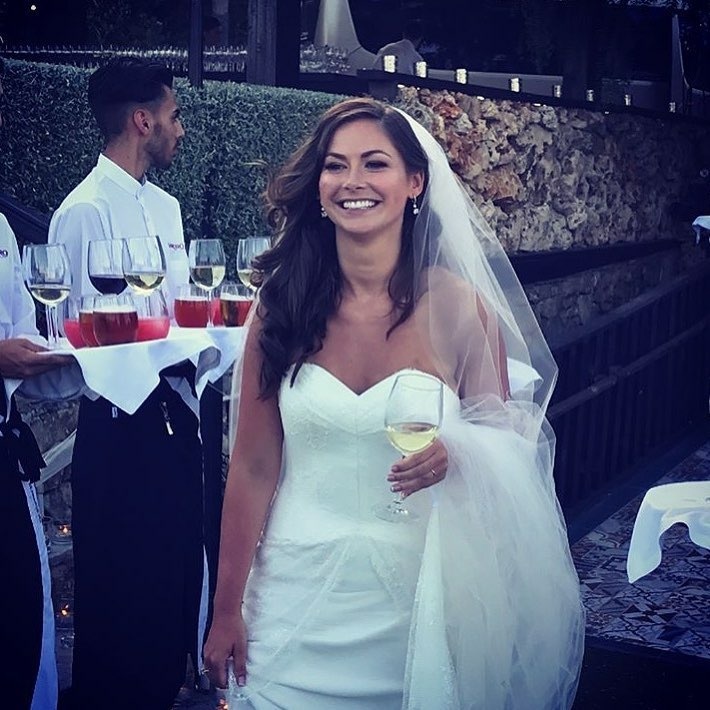 Can you tell us a little about your most memorable experiences helping brides prepare for the most romantic day of their lives in sunny settings? I have been doing weddings now for 14 years and have to say it’s still my favourite part of my job! I’ve been so very lucky with all of my brides. Being part of someone’s happiest day is truly amazing. I get quite emotional and love seeing the happiness and joy on everyone’s faces when hair and make-up is done. It really is so special; you can really feel the love on the day. And I love being part of that, and have met some of the most incredible women. Some of whom I am still in touch with to this day. I feel very lucky to get to experience that. Every woman has a story and getting a glimpse into someone’s life like that is a gift. And then seeing them off on their happy day, it’s wonderful, hugely satisfying. How quickly do you tend to get booked up? A year in advance usually, but some brides are super organised and book me up 2 years in advance. Certain dates every year tend to get booked up first: bank holiday weekends and September seem to be the most popular here in Spain. Nicola, this has been a fascinating insight. Thank you very much for your time and keep up the fabulous work!